Resist Super-Light Daily Wrinkle Defense SPF 30 is a daytime moisturizer with sunscreen designed for combination to oily skin with signs of aging. 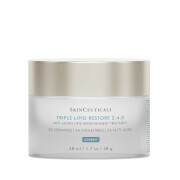 The multi-purpose formula not only protects skin from sun damage, but also fortifies it with potent antioxidants to repair and stimulate collagen production for firmer skin. You will see a more even skin color, fewer visible lines and wrinkles, and the return of a younger healthy-looking glow. 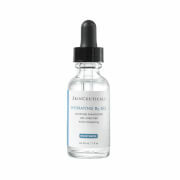 Has a sheer tint that works well with all skin tones. Leaves behind a soft, matte finish. Formula is 100% fragrance free. Use as the last step in your morning skin-care routine. Apply liberally to face, eye area, and neck 15 minutes before sun exposure. Use a water-resistant sunscreen if swimming or sweating. Reapply at least every 2 hours if skin is exposed to sun. Active Ingredient: Zinc Oxide 13%. Other Ingredients: Water, Cyclopentasiloxane, PEG/PPG-18/18 Dimethicone, Dimethicone Crosspolymer, PEG-12 Dimethicone, Resveratrol, Quercetin, Epigallocatechin Gallate, Tocopheryl Acetate, Tetrahexyldecyl Ascorbate, Adenosine, Lauroyl Lysine, Bisabolol, Trihydroxystearin, Salix Alba (Willow) Bark Extract, Punica Granatum (Pomegranate) Extract, Haemstococcus Pluvialis Extract, Hydrolyzed Corn Starch, Polysorbate 80, Hydrolyzed Silica , Triethoxycaprylylsilane, C12-15 Alkyl Benzoate, Isopropyl Titanium Triisostearate, Caprylyl Glycol, Hexylene Glycol, Sodium Chloride, Ethylhexylglycerin, Phenoxyethanol, Iron Oxides. 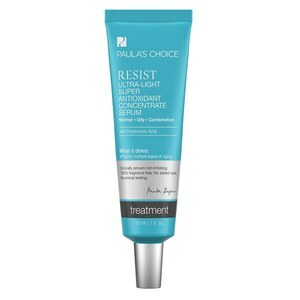 My favorite moisturizer for oily skin with SPF! 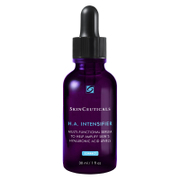 I love the texture of this product, it's lightweight and moisturizing, and not oily. It's also tinted so no white-cast face. However, this product can definitely oxidize on your face, esp if you have somewhat oily skin. 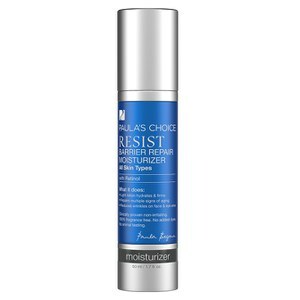 I mix it with another moisturizer, preferably oil control moisturizer and it does the trick. My fav thing to mix with is the SuperGoop serum sunscreen and Shisedo sunscreen for face (blue bottle).